Agile Helpline! 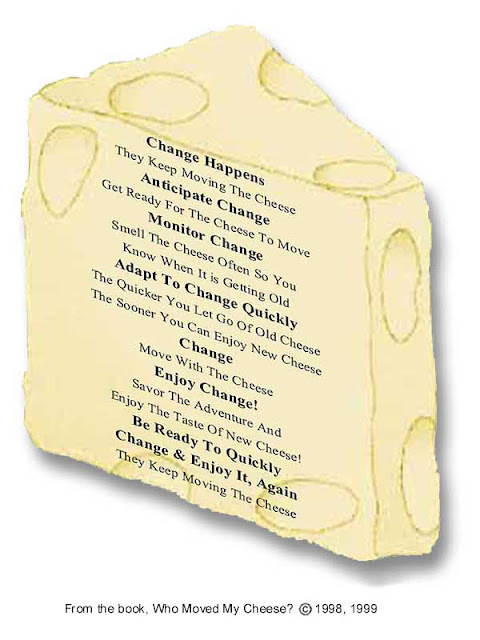 : How do I embrace change? How do I embrace change? A Reality: They keep moving the cheese. Get ready for the cheese to Move. Don't forget to watch small video. It's awesome!